My GP has recommended I start Vit D supplementation. I have had a blood test and await the results but my GP told me to start taking it now. She did not tell me at what dose. I bought some D3 from Natures Best and on taking it experienced severe anxiety throughout the whole day and felt very hyper. I have now lowered the dose to 250iu but still experienced high levels of anxiety and adrenaline like feelings. I wondered if it could be the binders etc in the pills so today an swapping to a Higher Nature product which is in oil with no mixers etc and will squeeze out the liquid from the gelatin capsules and just take that which will be approx 200 - 300 iu. Can you tell me if this anxiety will pass as my body gets used to the vitamin d as it is very hard to deal with. I cannot take calcium orally neither do I wish to take any further supplements as I always re-act badly to anything I take but do realize I need to persist with Vitamin D supplementation. Many thanks for your help. by: Kerri Knox, RN- The Immune Queen! I've discussed the reason for Vitamin D giving anxiety many times. 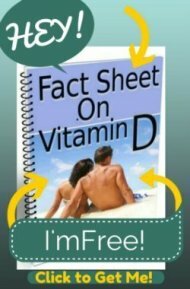 Please read my pages on Vitamin D Side Effects and the page on Vitamin D 50,000 IU's and Anxiety Attack and the Anxiety from Vitamin D page. These will give you solutions for this problem. Unfortunately, it will not go away on it's own and will likely get worse if you continue to take vitamin d.
So I am taking Vitamin D3 because I am "insufficient" at 25 ng/mL. My serum Magnesium is 2.2 mg/dL (normal) and my Magnesium in packed erythrocytes is 5.6 mg/dL (normal). Is it possible that when I take more than 1000 IU of Vitamin D3 (no other vitamins in this supplement) that I get severe Anxiety from Vitamin D? I don't think this is a case where I thought I was going to go crazy from the Vitamin D. I was fine, started the Vitamin D, had severe Anxiety from Vitamin D, and went looking for answers. As a matter of disclosure, the rest of my blood values are withing normal limits for me, a 41 year old male in reasonable shape. You asked, "Is it possible that when I take more than 1000 IU of Vitamin D3 (no other vitamins in this supplement) that I get severe anxiety?" I don't know, you tell me. If you do get Anxiety from Vitamin D, then it's possible. 2) Using a 'cheap' vitamin d brand that has rancid oils that you are reacting to. There is NO OTHER REASON for Anxiety from Vitamin D. HOWEVER, if you are NOT taking a multivitamin, why not? You MUST be taking a good quality vitamin if you are trying to resolve a deficiency in ANY vitamin. If you don't, you risk 'relative' depletions of other vitamins like magnesium, Vitamin K and Vitamin A that will cause problems. My friends, family and clients never experience these side effects because I insist that they take a multivitamin along with extra magnesium when they take vitamin d- and I insist that they take super good quality vitamins. It's just not a good idea to take a single vitamin. It's just the most unlikely thing in the world that you are deficient in one single nutrient. And when you buy cheap vitamins, you get what you pay for. So, those are your ONLY two options. Ditch the cheap vitamin d, stop taking it in such tiny doses as 1000 IU's is a ridiculous dose to be taking and taking a higher dosage of 5000 to 10,000 IU's per day is NOT going to cause you worse anxiety, and get on the Vitamin D Absorption Pack to get 'insurance' from depletion of nutrients when taking vitamin D, AND extra magnesium with your vitamin d REGARDLESS of your magnesium level (unless it's HIGH). You are experiencing magnesium deficiency symptoms, so take magnesium if you don't have a medical condition in which magnesium is contraindicated. It's that simple... Don't make it more complex. I have panic attacks and gad and fatigue and just found I was at 20 on my vit. d. Every thing else I read and natropaths I spoke 2 claim the lack of D is a major reason for anxiety and fatigue so i was suprised to find this site. I think it is possible that a lot of you were on the verge of anxiety attacks because of lack of proper nutirents and that it is not the d causing it. My friends natropath is giving her 30,000 iu of D3 a day for 1 month along with b 12 injections and calcium citrate for anxiety and shaking and extreme fears and after 1 month she says she fells all most 100%. This is after being couch riden for 4 months! Thank you - Anxiety from High D is gone! First, before I share my story I would like to thank you for this site. 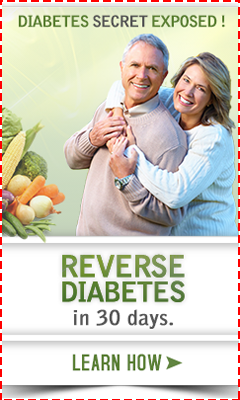 It has been instrumental in helping me figure a lot of new health benefits. I want to share my story because this site has helped me and I think hearing and reading other people's experience can be helpful. Unknowingly, I was experiencing a lot of Symptoms of Vitamin D Deficiency. Low mood, fatigue, tired and sore muscles, achiness, and many more. I attributed this to maybe some hormonal imbalance, so I had blood work and ob/gyn exams done. My blood work came back indicating that I had a Vit D level of 15 - pretty low. I did some research before consulting my Dr. and starting taking 10,000IU of D3 in micro-lingual form. I started to feel amazing after about 2 weeks. I was sleeping better, had better mood, more energy and felt like I was myself again. I practice yoga almost every day and was in constant pain and felt tired and sore during each practice and after. Once I was on D3, much of that also subsided. However, a little over a month of taking the 10,000IU I started getting very jittery, anxious, and fast heart beats. One night, very suddenly, I had what I think was a panic attack that took me to the ER. I have never had a panic attack and this was very unlike anything I had ever experienced. My family recently lost one of our dogs, so I attributed it to stress, but something didn't add up to me. I came across your site and noticed that other people who were on high dosages of VitD also had similar experiences. I read that high dosages might expose (or cause) a deficiency in magnesium. I began taking 500 mg. 2x a day of magnesium and within 24 hours I was feeling back to normal! When I was in the ER, I told all of the doctors and nurses I was deficient in Vit. D and was on a high dose: they all dismissed this as a possible cause. I have really been immersing myself in the combinations of vitamins and minerals, and I know I also need to supplement with calcium. I do get some in my diet, but my doctor recommended 500 mg. a day. Would a ration of 10,000IU of Vitamin d3, 1000 Mg of Magnesiusm and 500 mg. of Calcium seem okay? I get my Vit. D 3 levels rechecked in a little over a month. Thanks for any thoughts or suggestions, and thanks again for this very informative and helpful site! Yeah. I'm so happy that you resolved your problem with some research. It's amazing that doctors just don't know anything about nutrition. Ugh. Anyway, there is no 'formula' for the right amount of these nutrients. You need 'enough' vitamin d to bring your levels up to between 40 to 60 ng/ml, which could be anywhere from zero IU's per day for someone who sunbathes frequently, or it could be up to 10,000 IU's per day forever for a big guy. So, your goal with vitamin d is to bring your level up to optimal, then take whatever maintenance dose you need to keep it there. Usually around 3500 to 5000 IU's for a woman, closer to 5000 IU's a day for a guy, sometimes more for a big guy. As far as magnesium is concerned, again, you need 'enough' to keep any symptoms of magnesium deficiency at bay and/or make you feel your 'optimal' level. That could change every day, magnesium needs fluctuate day to day depending upon your needs. I normally don't take magnesium, but I've been doing Bikram Yoga most days and have been taking up to 600 mg of magnesium a day. So, asking what the right dose is, is futile. Taking 'enough' is your goal. And calcium, I don't recommend taking any calcium at all. Doctors think that calcium is some magic mineral, but if you look at a chart of the intakes of calcium by country, the US has the highest intake of calcium in the world- and the highest rate of osteoporosis. Japan and Peru have very low calcium intakes, while having very low incidences of osteoporosis. What women in Japan and Peru DO get is high levels of magnesium, vitamin d and good fats. They also are far more active and do more weight bearing. So, while I'm not going to say 'don't take calcium' because I don't give advice, I only give information, you might want to figure out what, exactly, you want to take the calcium FOR and determine if taking the calcium will achieve those goals. There are also a few studies that have linked calcium supplementation with higher incidence of heart disease in women. Here is a study entitled Effect of calcium supplements on risk of myocardial infarction and cardiovascular events: meta-analysis. This study is important because it's a study of all the studies done on the subject and evaluates the results of 15 high quality studies and eliminates any poor quality studies. This higher incidence in heart disease is most likely due to excess calcium being deposited in the arteries as calcification. Despite what doctors tell you, heart disease is not due to cholesterol deposition in the coronary arteries, but calcium deposition. And in fact, some studies show that women with HIGHER cholesterol levels (over 250) have less heart disease! So, exactly WHY are they telling women to keep their cholesterol levels down and take more calcium? Good question. This is my second week of Vit D 50K IUs (my magic number was 13), took one on Monday, then a second dose on Friday (5 days), and plan to take a third one on Thursday (6 days) and then go on a once a week cycle. Am Supplementing with Nutrilite's Cal Mag with 250 mg of Calcium and 100 mg of Magnesium per tablet, am taking 2 every night. Also taking Nutrilite's Daily multivitamin in the mornings. My sleep has improved tremendously, not there at 100% but am able to sleep at least for 5 hours on odd nights and on even nights still get the 5 hours but am quite wakeful, almost every hour or two. I have anxiety on some days, even though it's less intense and sometimes wake up during the night with anxiety. Am I on the right track or did I miss anything? Thank you in advance, your site has been very helpful to me. how long does it take till the body gets rid of vitamin d3 supplement? Hi, I'm really have trouble lately. I am an otherwise healthy person and I supplement with magnesium every day on top of my clean diet and that is it. I recently tried a d3 supplement just once and it gave me all the Side Effects listed on your page. It just did not agree with my body. I started feeling symptoms right away. I got all my blood work done and everything is normal. So I am just going to never take this supplement again but my question is how long till the d3 is completely out of my system. I still don't feel myself. I felt fine before I wish I just hadn't messed with things. That you 'supplement' every day with magnesium is virtually meaningless. Please read my page on getting the right Magnesium Dosage, as I mentioned previously. It's almost certain that you are quite seriously magnesium deficient. Additionally, you are probably or possibly deficient in several other 'Vitamin D Cofactors' such as Vitamin A and Vitamin K. I highly suggest that anyone who takes vitamin D get on the Vitamin D Absorption Pack for 'insurance' against their nutrient deficiencies. It's really the exact wrong thing to declare you are never taking a necessary nutrient again. Instead of leaving yourself deficient in several nutrients, and leaving yourself at risk of multiple diseases from doing so, you could take this opportunity to realize that you are severely nutrient deficient, probably in several nutrients, and to begin to resolve all of your deficiencies, instead of none of them. I highly disagree that you were 'healthy' before all of this. If you were, you'd not have exposed your nutrient deficiencies from one dose of Vitamin D.
PS: If you appreciate the free help that I give on my site, please consider making your next supplement purchase through my Health Store in order to help keep this site in operation. Return to Question About Vitamin D Side Effects?.